The long awaited capsule collection from CFDA/Vogue Fashion Fund Award winner Billy Reid has finally come to fruition. Creating a set of items which are easily interchangeable, one of our favourite pieces has to be these Blythwood trousers in soft Japanese chambray. 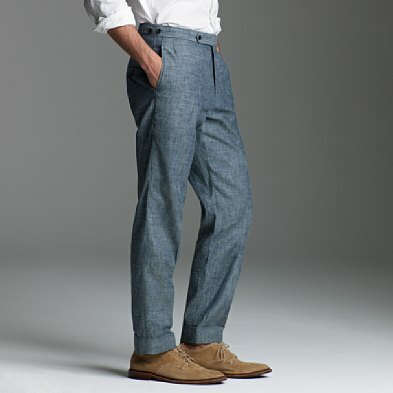 Despite the semi casual look of the pants, the Blythwoods carry some very traditional elements. Reid attends to a lot of detail here with suspender buttons, partial lining, cuffs and back buckle. As he puts it, “I wanted to create something that could look respectable at an old friend’s wedding but also get plenty of wear all summer.” Mission accomplished, Billy. 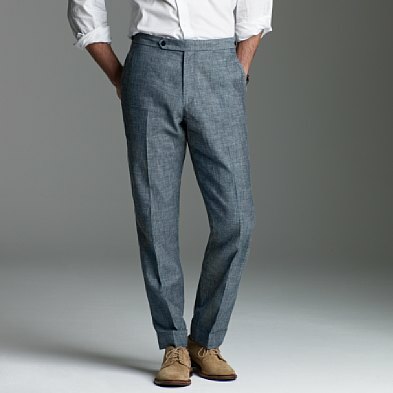 Available through J Crew online. 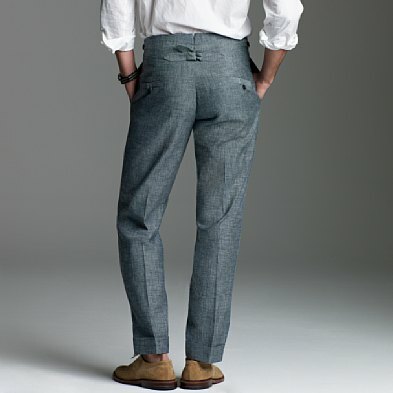 This entry was posted in News, Pants/Bottoms and tagged Bill Reid, CFDA, Vogue Fashion Fund Award. Bookmark the permalink.